I got a letter on the 25th of Sept about the Post office 'improvements', being busy I didn't give it much thought till I woke up a couple of days ago to find I was now on a Talk Talk line. Firstly, I have moral objections to Talk Talk owing to the way they've operated a relative's account, including sending debt collectors after a deceased person... 3 times! Secondly, since the changeover, my lovely brand new Kindle Fire no longer works properly, after two solid days of installing, uninstalling, changing settings, turning off and on again etc, I phoned Amazon who suggested it might be the broadband. How silly thought I, but I took it over to someone else's house, and bingo, it was magically fixed, till I came home. So, I want to leave. I phoned Post Office earlier (20 minutes on hold at 10pm!) but didn't get much useful advice from them. Apparently it's the Kindle (which works with other people's wifi and even tethered to my mobile) not the broadband, and they didn't need to tell me they were changing because I bought a Post Office service and basically it's none of my business who they buy it from. They said I don't need a MAC, but didn't really explain why...is it because MACs are for moving from a BT to BT product, and now they've moved me from BT it wouldn't work? They also couldn't tell me if there would be a fee to get put back onto a BT product. All the useful information I got was, I need to give them two weeks notice. Could anyone kindly explain to me what happens if I apply to a different BT seller, if I'm likely to be charged, if it's as simple a swap back as it was to be moved onto Talk Talk? Also, the only LLU in the exchange is Talk Talk and Sky, how do I make sure the new ISP is a BT reseller and not either of those? Oh, and could I move broadband and not phone, and if I did, would I keep my free evening calls that they don't seem to offer now, and would my line go back to BT? I'm thinking of trying Plusnet, though I've not been to the Plusnet forum yet, any views on them? Sorry for the list of questions, this is all totally new to me. Thanks in advance for any answers to any of them. The likelihood is that your line is now provided using TalkTalk's full LLU platform. In this setup, TalkTalk rent a pair of wires (MPF = metallic path facility) from BT Openreach, which is connected to TalkTalk equipment at the exchange to provide voice and broadband service. You don't need a MAC to migrate away from a full LLU service, which is why TalkTalk won't issue one. However, you will need your new provider to work carefully to avoid downtime and port your voice number. You must migrate both broadband and phone to a new provider if you want to leave TalkTalk full LLU. If you leave your phone service with TalkTalk, you will be unable to take broadband from a new provider on that line. The need to migrate both services means you will be forced to take currently available tariffs from your new provider. It is still possible to order phone service on the BT WLR3 platform from one provider and broadband from another provider (who uses either the BT Wholesale platform or SMPF based partial LLU). If you want to go down this route of phone from one provider and broadband from another, you will probably have to order the phone service first, then wait until the phone service has migrated before you order the broadband service. Not only is this likely to leave you with a break in broadband service, but it will probably cost more than taking phone and broadband from the same provider. If you want to move to PlusNet, I suggest you head over to their forum here. There has been recent discussion about the best way to migrate from full LLU to PlusNet. Thanks very much, that makes a lot more sense than I got from the Post Office. She did mumble something about MPF, but had the general attitude that I should just use the broadband and leave the details to them. I probably will just take voice and broadband to the same place, the only reason I wondered about leaving it is because no one I've looked at so far seems to do free evening calls at that price, but I'll just have to live without. I had a quick look at the forum, but couldn't find too much about LLU, I'll have a proper look when I'm not using my phone. Strange your kindle doesn't work, do all devices not work? As long as your out of contract there won't be any cancellation fees. No, literally just the Kindle. It worked fine up until the changeover, I don't know what the issue is? Same router as before, same password etc, I can access the same webpages on computer, phone, or on the Kindle using someone else's internet. I was trying to buy a book the other day, I could browse the page, put it in my basket, but nothing happens when you try to checkout. So I had to buy it using my phone. If you leave your phone service with TalkTalk, you will be unable to take broadband from a new provider on that line. PO still offers HomePhone alone. Do we know that it is provided by TT phone LLU and not by WLR? 1. Will voice only customers remain on a WLR Product? Yes all voice only customers will remain on WLR. This means any broadband from other providers where you just have Post Office voice line rental will be unaffected. The Kindle problem must be a WiFi issue. 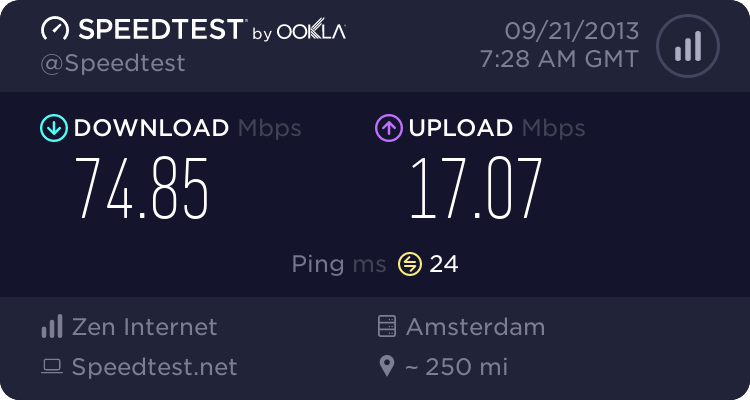 Does the Kindle connect OK to the router's SSID, but you can't thereafter browse with it? Or it may be a DNS issue. All the useful information I got was, I need to give them two weeks notice. Did they tell you if it needs to be in writing, or over the phone is ok? It does appear to be an ssl thing, you can browse but not access a lot of secure stuff.. so can't login to Amazon to checkout, can't browse a lot of Facebook pages unless you change to http and so on. Would that be an issue their end or at this end? I've just gone for it and signed up to Plusnet for phone and broadband, I'm fed up already with the TT offering, and I've only been on it since the 9th! I had to go to someone else's house again to sign up, as my laptop wouldn't load the pages after I started it.